We sent our best people on the ground this morning at the movie Premiere of Ballerina the movie at the Sun theatre in Yarraville in Melbourne. 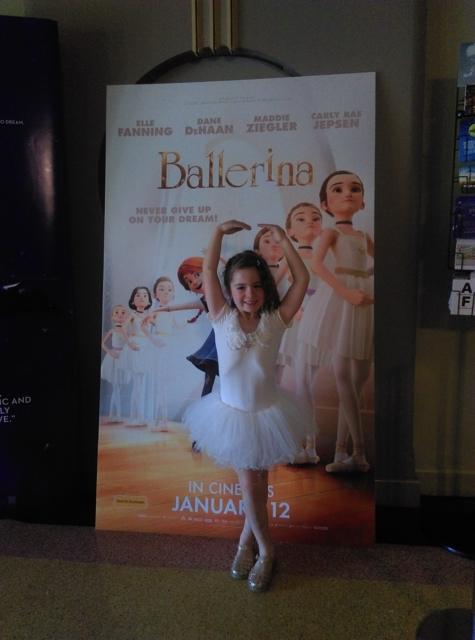 Here's what Kel and her little ballerina Mini from Melbourne Minor had to say about the movie which comes out in movie theatres this Thursday 12th of January across Australia. 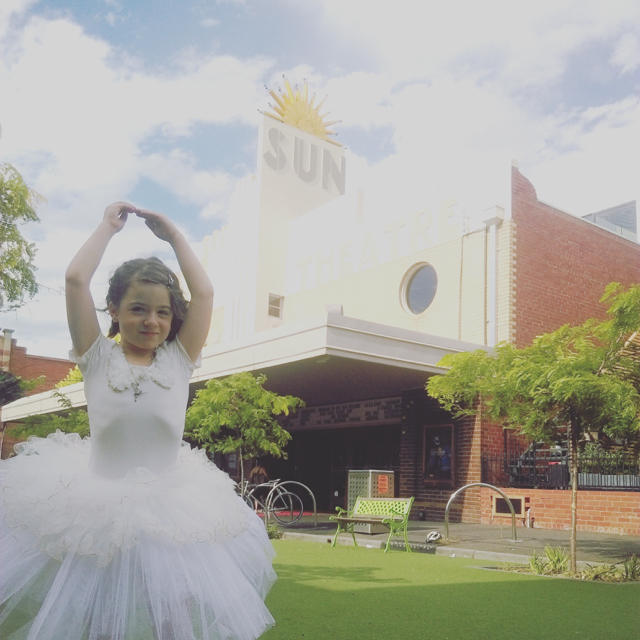 This morning the new Ballerina Movie was premiered to a flurry of tiny tutus at Melbourne's gorgeous Sun Theatre. The movie tells the story of Félicie, a young girl from France with dreams of being a ballerina and her best buddy Victor, the inventor, who helps with all her plans. It's a very spunky tale of working hard for your dreams and there is a lot more to the story than twirling about on stage! I love how the film focused on the training behind the performance and didn't gloss over the time determination put into preparing for each dance. It is the perfect school holidays film for the tiny dancer in your life. The 'baddie' of the story is a very traditional evil step mother like character so if the kids can handle Cinderella and Snow White they shouldn't have any trouble with this character. Ballerina will be screening nationally from January 12th and is Rated G. For more information about Ballerina, head out to their website or view the trailer below.